#JDBakes in the Central Coast! Word is getting around that the #FirstAcolyte, JD, is a heckuva baker. 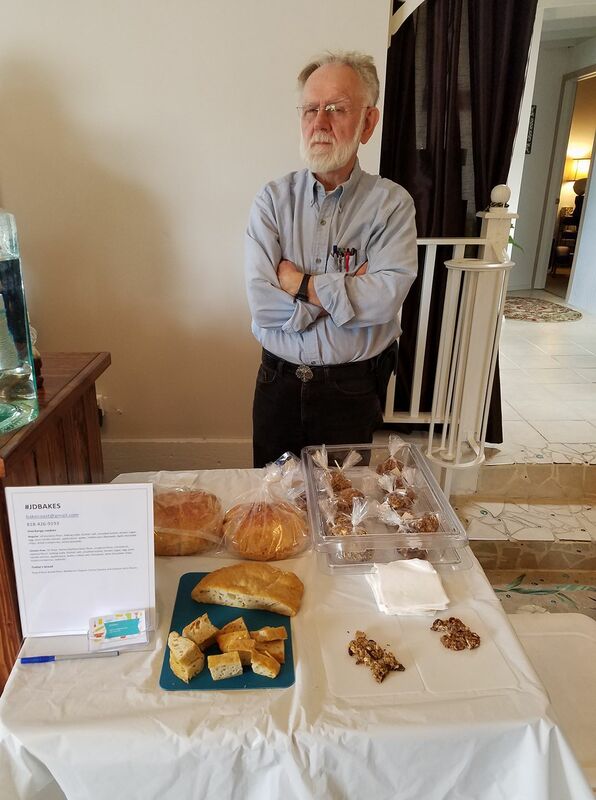 And now he's offering his delicious baked treats for sale in local businesses! These organic, protein-filled snack cookies come in regular and gluten-free forms. 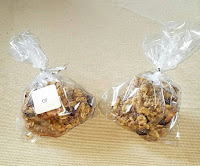 Originally designed to be healthy snacks for the Goddess of Wine and First Acolyte on long car trips, JD found that other folks were looking for organic snacks to tide them over, too. 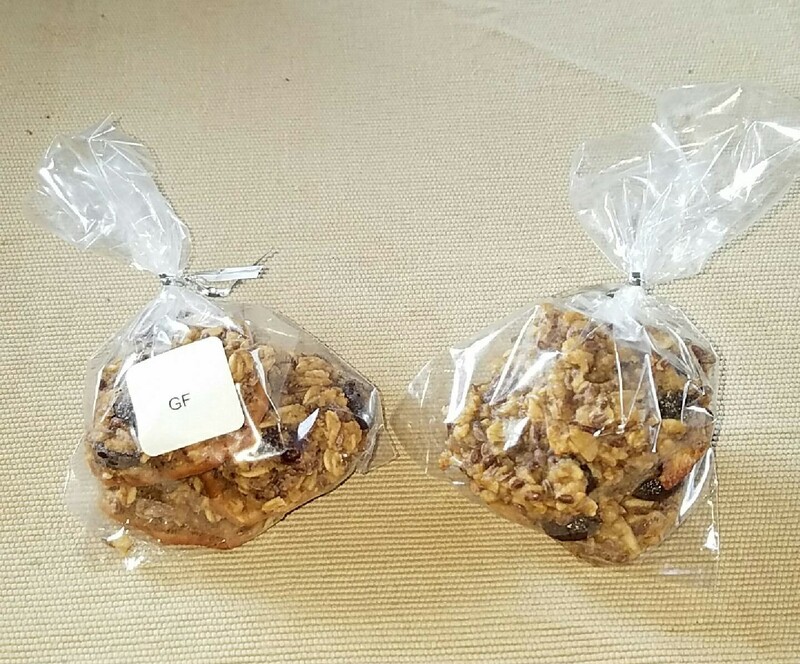 The cookies come in 3-packs, and will hold you over those times when you don't want to stop for a full meal! 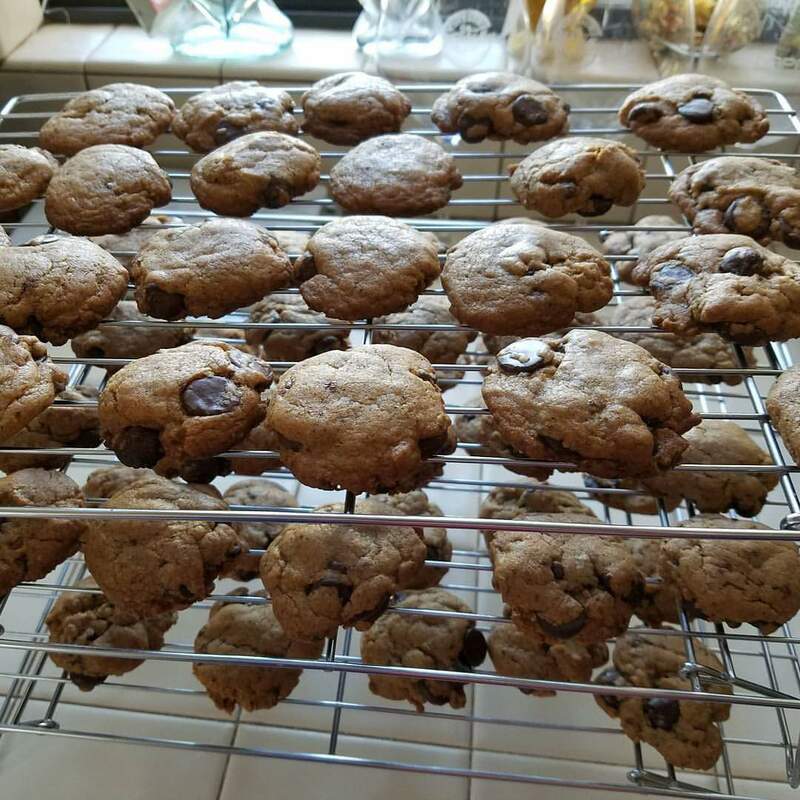 Regular: all-purpose flour, baking soda, Kosher salt, unsalted butter, brown sugar, egg, pure vanilla extract, applesauce, water, rolled oats, flaxseeds, dark chocolate chips, dried cranberries, sliced almonds. Gluten-free: GF flour blend (Garfava bean flour, sorghum flour, cornstarch, tapioca flour), baking soda, Kosher salt, unsalted butter, brown sugar, egg, pure vanilla extract, applesauce, water, rolled oats, flaxseeds, dark chocolate chips, dried cranberries, walnuts. 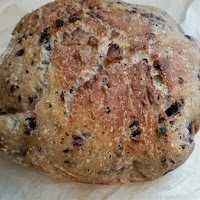 Artisan Breads now being carried at the Morro Bay Wine Seller! JD's been baking bread for a long time. His grandfather, also named John Dickey, was a baker in the town of Urich, Missouri, and JD's friends and family have urged him to continue in his family tradition and sell his delicious loaves. Lots of other tasty items, too! JD takes special orders, and will be seen at local farmers markets in the greater Morro Bay area soon, but for now his breads will be available for purchase when you attend a class at the Morro Bay Wine Seller, given by Denise Lowe, the Goddess of Wine. Stay tuned for more news about #JDBakes!